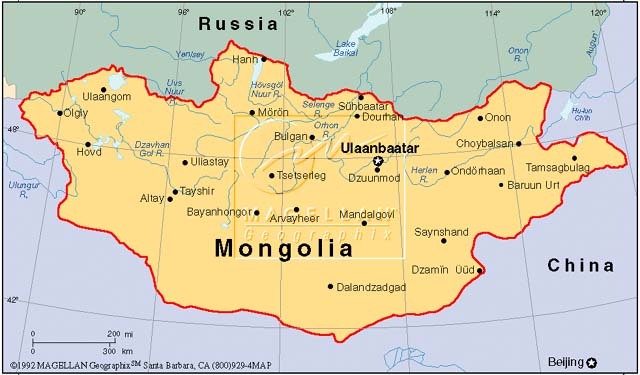 Mongolia is a vast plateau in East Central Asia covering more than 1,000.000 square miles. Russia neighbors Mongolia to the north and China to the south. Mongols are a nomadic race sustaining themselves by raising livestock. Horses, cattle, camels, sheep and goats accompany them in their migration across the steppes providing food, transportation and clothing. Mongolian cooking was introduced in China by Genghis Khan when he invaded in the 13th century. According to legend, Khan’s armies camped at night, built bonfires and threw their round iron shields down on the hot embers for use as a cooking surface. Thus arose the tradition of the Mongolian Grill. Since the tents, or “yurts” are highly mobile and not equipped with fine cooking utensils, the Mongolian way of cooking is simple. It usually consists of mutton or beef cut into thin slices and quickly roasted on the grill. The addition of fresh vegetables and spices is mainly a Chinese innovation.